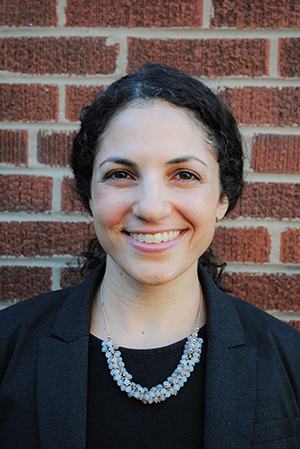 Amy Martin joined the Bluhm Legal Clinic’s Children and Family Justice Center (CFJC) as Immigration Law Fellow on May 1. The two-year fellowship was established last year by generous donations to the Clinic Annual Fund in recognition of the pressing immigration issues of our time and the CFJC’s role at the vanguard of immigration advocacy. Martin joins the CFJC from LAF’s Immigrants and Workers' Rights Practice Group where she represented human trafficking victims in a range of legal matters, including applications for T Visas, U Visas, and petitioning under the Violence Against Women Act. While at LAF, she also spent time as a housing staff attorney representing tenants in eviction proceedings. Martin is a graduate of the University of Wisconsin and UCLA School of Law. As Immigration Law Fellow, she will represent youth and parents in immigration court proceedings, work with partner organizations to best serve the needs of the immigrant community, and assist with teaching students enrolled in the immigration law clinic. “Whether it’s a headline about the mobilization of the National Guard to stop the ‘caravan’ from Central America or one about parents being separated from their children at the border, it is difficult to go a day without reading a news story that illustrates just how challenging the legal landscape has become for immigrant youth and parents,” says Uzoamaka Emeka Nzelibe, a clinical associate professor of law who leads the center’s Immigration Law Project.